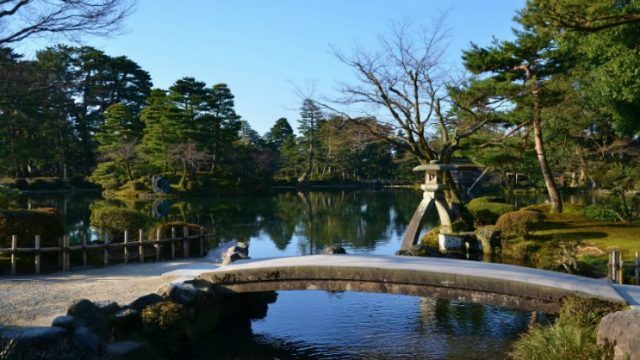 10 Best Things To Do in Yamanashi – A Sure Place to Unwind! Yamanashi Prefecture is located in the Chubu region and it’s on the western side of Tokyo. 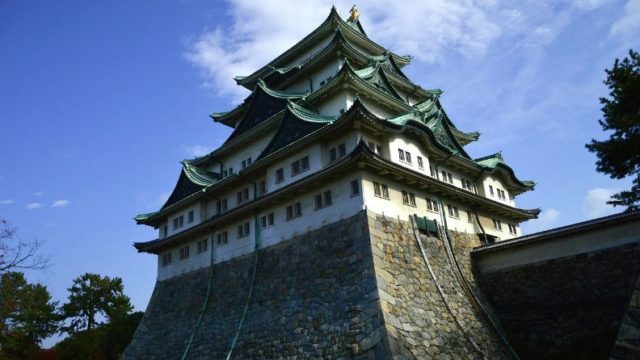 It is in fact, a very famous tourist destination in Japan. 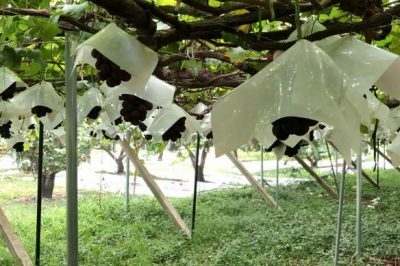 It is also known for wine production and delicious local sweets. 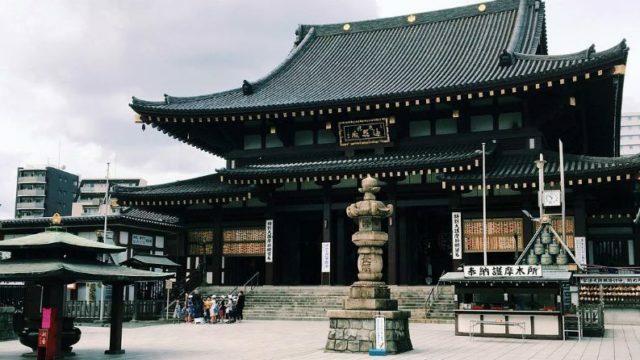 It’s never too late to explore this beautiful and iconic land so if you are interested in traveling, here are the best things to do in Yamanashi prefecture! Fujigoko is a lake resort area where you can enjoy so much of outdoor activities like fishing, camping, and winter sports. It’s consist of Lake Kawaguchi, Lake Yamanaka, Lake Motosuko, Lake Shojiko, and Lake Saiko. Among all the lakes, Lake Kawaguchi is the most famous one and also the second largest in terms of the surface area. You can have a perfect view of Fuji-san in different seasons. 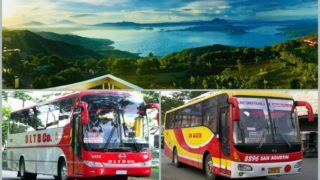 This amusement park is one of the very classic establishment of its kind, as it stands for over 25 years on the very best quality rides in the world. It is a big place full of attractions and occasionally live music and so on. They have a whole range of rides here and people come from all over Japan. It’s got something for everyone from babies to adults. Most of the rides offer good views of Mt Fuji. Admission is free but they have half day and whole days passes if you are not keen on lining up for each ride. There is something to do for kids of all ages. The cave is a lava cave formed by a flow of lava that erupted from Mt Fuji. Riverbed water from Mt Fuji keeps the temperature inside the cave at 0-3 degrees Celsius all year round. 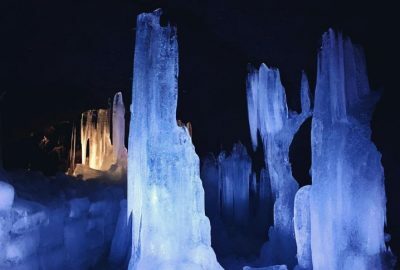 The entry had naturally formed ice that had been also carved and stacked from the winter. Not an overly big lava cave but enough to get a sense of the lava shapes formed. The silkworm eggs and seed storage were an interesting story – English was provided. It’s like going into a small Swiss village. If you have a baby they can play on the playground and in the garden. There’s also a trolley that goes around the garden. This place is good for families with babies and small children. Also if you like Swiss sweets there’s a lot in the gift shop. If you want to see the tulips in full bloom, you can visit there on late April. 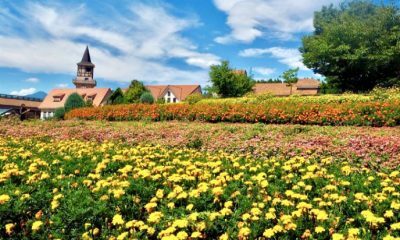 Sunflowers in full bloom can be witness in summer, red leaves in fall, and great illumination in witer. This is a perfect spot if you like to eat fresh fruits. You can pick any fruit that you like! The surrounding looks so beautiful and it’s definitely worth visiting. You can go there as a volunteer or as a customer. The host was very generous and kind; he made sure that all the volunteers were well taken care off and he taught us a lot about how to grow fruits! Weekends are almost fully booked so you can check the official site first before visiting the place. 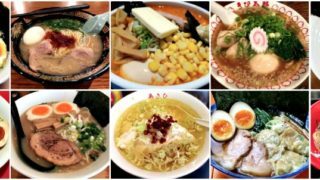 This place is highly recommended for everyone to try! 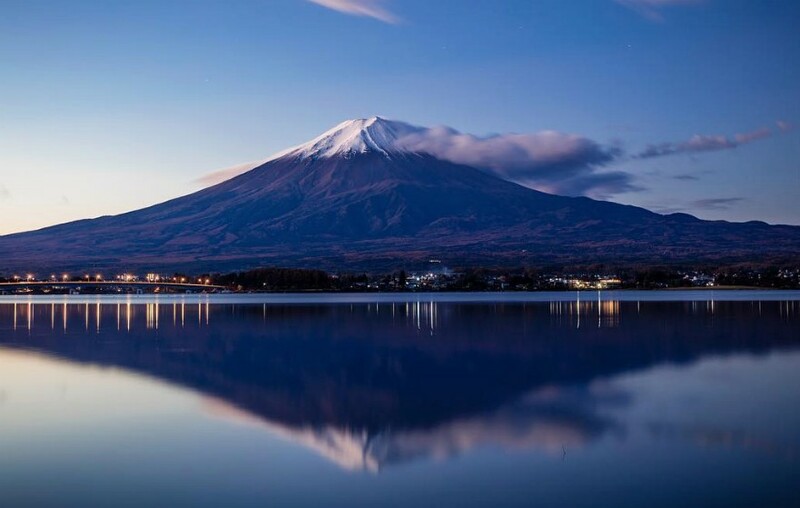 One of the best spots that provide a superb view of Lake Kawaguchi and the foot of Mount Fuji is the observation deck near the peak of Mount Tenjo, accessible by the Mt Kachi Kachi Ropeway. The round trip ticket costs ¥800 for an adult. 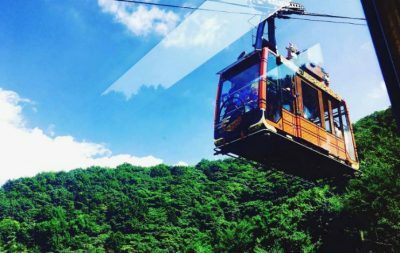 It takes 3 minutes to travel the 220m height distance in the cable car. However, the queuing time to board the cable car to go uphill was much longer, takes a longer time than expected. Luckily, it was a much shorter waiting time to board the car to go downhill. Aokigahara has a bit of a reputation for being a suicide hot spot but it is much more than that. It is really interesting to walk through the forest and see how nature has returned to the scorched earth. 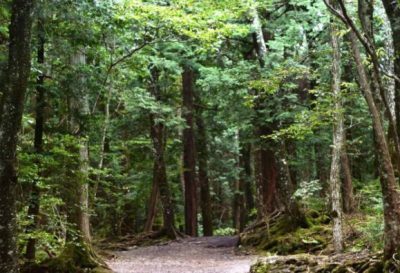 Twisting tree roots, twirling forest trails, emerald green moss accompanied by mushrooms growing on countless trunks, rocks and boulders, that’s what Aokigahara is. 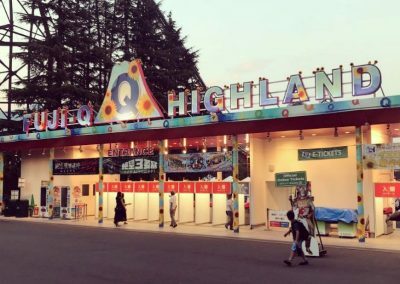 If you reached Kawaguchiko station, it’ll take a 40 – 45-minute bus ride to the forest. Just take that into consideration if you are planning to go back on the same day. This distillery is set in a beautiful forest at the foothills of a large mountain range. 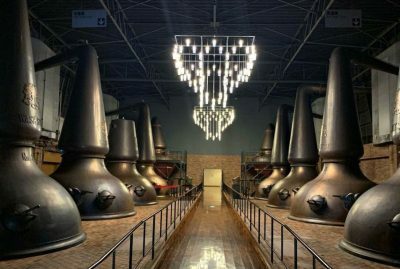 The distillery tour is essential and you will be guided around the entire venue to visit different stages of whiskey making. The tour includes a tasting session and it’s such a great experience to learn how to taste whiskey. The facility was impressive and even though the tour is in Japanese, they provide an English audio guide. Reservation is necessary but outside of the season, you can probably get away with a short notice call. You can speak in English over the phone and many staff members on site can also speak English. 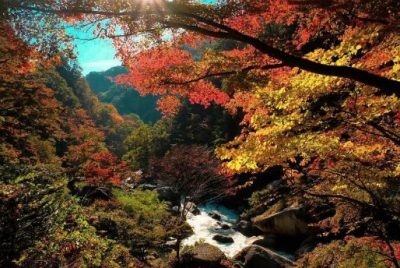 This is one of the best spot to visit Yamanashi in autumn season. This valley gorge is the perfect spot for walking and taking pictures of fall foliage. The pathway is well-maintained that you’d feel nothing but only appreciation for the entire place. Absolutely stunning! A well-established Japanese confectionary shop, the traditional Japanese-style building as it is, has a history. 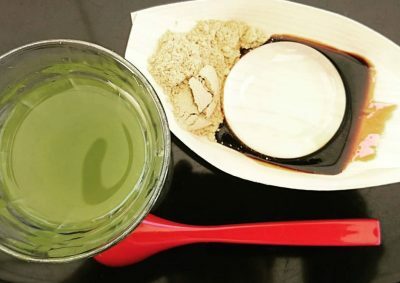 You can find the delicious local sweets of Yamanashi here called shingen mochi (rice cake). The highly recommended one is the watery-like mochi with a perfect combination of matcha. It has kinako powder and brown honey as toppings or coat. I highly suggest you try this one out. 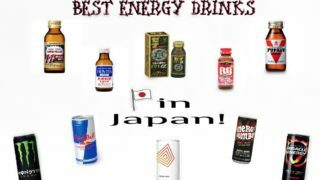 Not sure of the price as it went from ¥300 to ¥500 the last time I checked it.